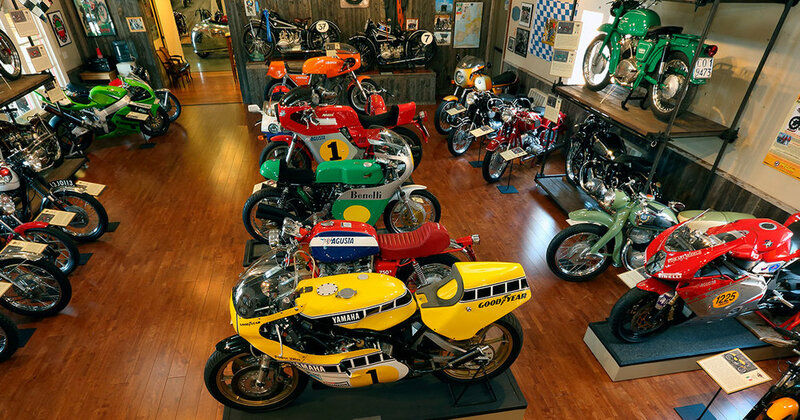 Moto Talbott museum in Carmel Valley, California, features more than 170 iconic motorcycles from 16 countries, and is located on one of Northern California’s most beautiful motorcycle roads. 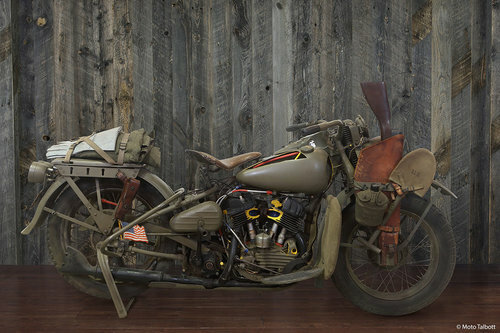 The non-profit Moto Talbott museum is open four days per week and includes plentiful free parking. Get information about about lodging, local rides, and everything you need to have a great visit. Moto Talbott is located in the beautiful Carmel Valley, close to wineries, restaurants, the Big Sur coast, the Monterey Bay Aquarium, and the most beautiful motorcycle roads in California. Robb Talbott is perhaps best known as the founder of the world-famous Talbott Vineyards. But there is perhaps an even more important, lasting strain that runs through his storied life: motorcycles. Third Annual Flat Track Day a Success! The third annual Flat Track Day had another strong turnout, with a good variety of racers, builders, owners, race fans and of course, awesome race bikes! Over the years, there have been many fast racers from this area. One of the best was Ricky Graham, who was born in Carmel. This is his Harley, brought to our museum by Ricky's father, Bill "Snyder" Graham,. The year 2018 was great for us and we hope it was for all you. As 2019 begins we want to say Happy New Year to you all! Here’s a sneak peek at some of the events we’re are planning for this coming year. We’ll add the dates as they become available. After years of looking for an elusive Czech “ice bike,” we finally found an original racer in England, still carrying its patina from the last race: a 1970 Jawa DT 500cc. In 2002, three-time world roadracing champion Kenny Roberts developed a five-cylinder bike called the KR5, to compete in the GP series, and the bike is currently on loan to the Moto Talbott museum. 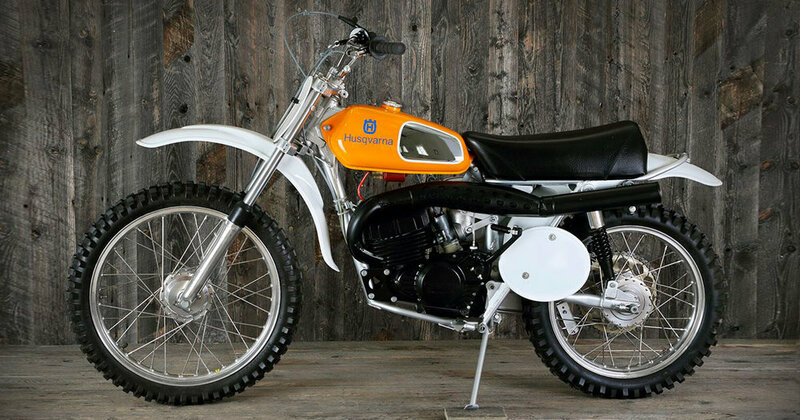 Did you know that famed Spanish brand Bultaco once made a purpose-built flat track bike called the Astro? We had some fine examples at our Vintage Flat Track Day March 18. Our Vintage Flat Track Day included some historic Hondas, thanks to local enthusiast and collector Anthony Giammanco, who came in the company of friend and former Honda factory rider Jeff Haney. Wayne Rainey Interview: "You had to have a background in dirt-tracking." We had a chance to chat with three-time world champion and local legend Wayne Rainey at our recent Vintage Flat Track event. Here, he talks about the value of dirt track, and this bike from his former tuner, Shell Thuet. More than 100 people attended our Vintage Flat Track Day. It included appearances by famous local racers including three-time world champion Wayne Rainey, AMA Hall of Famer Don Castro, and former Honda factory rider Jeff Haney. The sport has a long and glorious tradition in our area, with riders like Wayne Rainey, Donny Castro, Eddie Lawson, Doug Chandler, and others having spent time sliding sideways on our famed tracks. This 1971 Suzuki TS185 flat tracker was built and raced by Nelson Gong, a Monterey rider who worked and was sponsored by Rod Powell, the custom car and bike painter. He won nine straight races on this bike! What’s speedway? Think of it as flat track on steroids. These bikes have no brakes, no gears, minimal front suspension, no rear suspension, and methanol-burning engines. Moto Talbott has several Speedway bikes on display. With a beautiful 75° day, it was finally time to take out the “black widow.” In 1977, the stock R 100 RS was BMW’s ultimate tourer. Our bike was parked after only 17,500 miles, uncovered, in a field in Carmel Valley for 25 years. Have you ever seen how sano today’s race bikes are? Things were different back in the ‘60s, as you can see from this 1968 Hodaka Steen Racer. Amazingly, this tiny bike raced at Daytona in 1969! The ACE (Hodaka) 100 cc bike was raced in the Sportsman 100 class. Can motorcycles save lives? This modest little Yamaha has. Several years ago, at the local Moto GP race Robb Talbott met representatives from Riders for Health, an organization that uses motorcycles to provide medical supplies and transfer test samples to and from remote African villages. You’d be right if you called this bike ugly—and museum founder Robb Talbott wouldn’t challenge you. But it’s ugly in a beautiful kind of way, don’t you think? This 1978 Chang Jiang CJ750 Yangtze is a Chinese copy of a Russian copy of a German BMW R71 built in 1938. You might say it lost a lot in the translation! We've got near-perfect examples of historic motorcycles—but we also have bikes that are just, well, cool. Phil Cross and museum founder Robb Talbott began talking about a '60s “Frisco” chopper three years ago, and it’s now on display. Running a motorcycle museum can be hard work. So sometimes, you need to just get away…and ride. Founder Robb Talbott did just that last month, when he took his new Ducati Scrambler to Colorado, where he used to live and race. He was joined by his daughter, Kalin. Call it a tale of two MV Agustas: we acquired both these 1954 175cc CST models at the same time, from an owner in Tehachapi, California. Believe it or not, at that point they both looked the same. You can see both on display at the museum—it’s a remarkable contrast! Moto Talbott museum recently put another iconic racebike on display: the two-stroke Suzuki RGV500 Kenny Roberts Jr. used to win the 500cc World Championship in 2000. In doing so, he became the first son of a world champ to win the title. 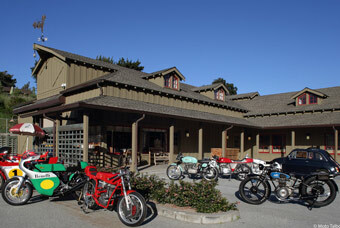 AMA Hall of fame rider Don Castro lives and owns a shop, Racers Edge, not far from the Moto Talbott museum. He and museum founder Robb Talbott have a friendship resulting in a trove of historic memorabilia and a rare 1960 Montesa flat-tracker. A Superbike for the Street: We Acquire a Rare 1988 Ducati 851 "Kit"
We feel lucky to have recently acquired this Ducati 851 “Kit”—one of just 201 that were homologated as part of the company’s race effort in 1988. Back then, it was about as close as average folks like us could get to owning a competitive world superbike. We just acquired two amazing Yamaha racers belonging to racing legend and three-time 500cc World Champ Kenny Roberts: a dirt track bike from the mid-‘70s, and one of the two-stroke YZR500s that Roberts rode to his GP championships ('78-'80). Come check these bikes out while they’re here! Imagine if your fulltime job was fettling more than 150 of the world’s most beautiful motorcycles. Welcome to the world of Bobby Weindorf, former factory race mechanic, motorcycle dealer, and ace restorer. 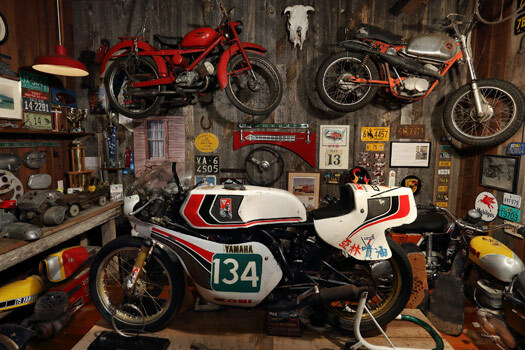 Taking care of the prestigious Moto Talbott collection is his fulltime job. We asked him what it’s like. Robb Talbott came of age helping his family make a fortune in the luxury necktie business. Then he turned to grapes, and with his father made another fortune with Talbott Vineyards, an upstart Carmel Valley winery that became one of the premier central California labels. Tuner Erv Kanemoto, four-time 500-cc world champion Eddie Lawson, and museum founder/owner Robb Talbott, in front of one of Wayne Rainey's race bikes. Have you been looking for a good reason to visit Moto Talbott? Here it is. This is the Yamaha YZR500 OWC1 that Wayne Rainey piloted to the first of his three 500cc World Championships, in 1990. The motorcycles you find at Moto Talbott don’t conform to any one genre. You’ll find bikes from 16 countries, spanning decades. There are pristine examples of iconic bikes, unrestored barn finds, and even the occasional chopper or minibike. You’ll also find artifacts from Robb’s rich family history in and around Carmel, historic toys, and the occasional bicycle. Learn more about accommodations and attractions in beautiful Carmel Valley, California.